My creative partner, Pretence Gonyesa, and I wanted to visually explore and create discussions around freedom in post-colonial Zimbabwe. 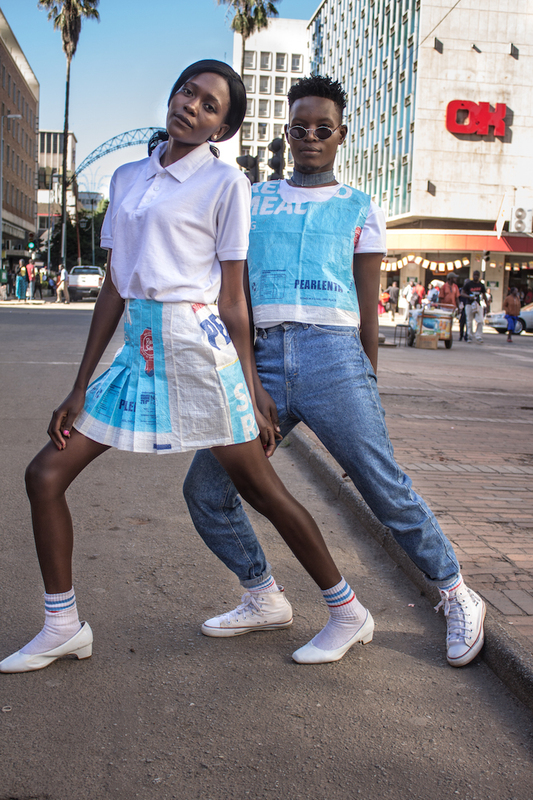 We used fashion and photography in an expressive way to signify different themes in Zimbabwe’s post colonial journey towards freedom. 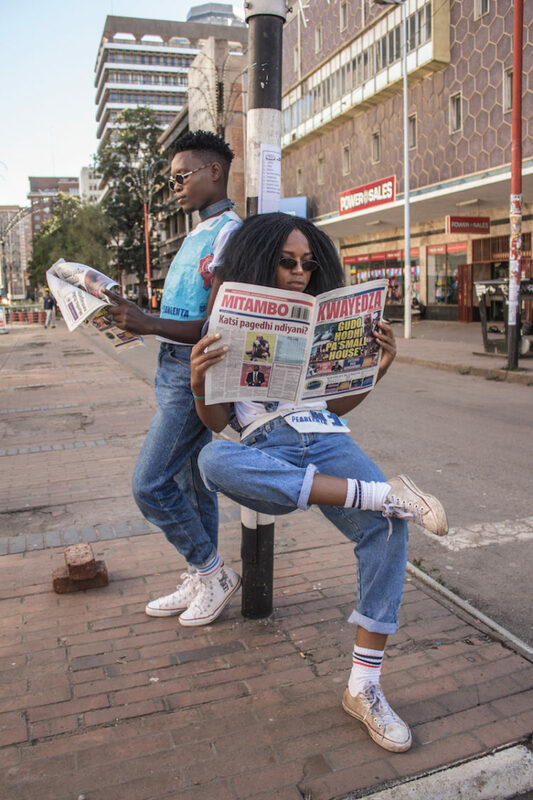 The intention was to create a photo series that pays homage to Zimbabwe’s once flourishing economy, celebrating the promises and victories of the past, that came after the liberation war. Promises such as freedom of movement, access and equality for all, while connecting that to the current state of the country, and reflecting on the fulfilment (or lack thereof) of the promise of freedom. 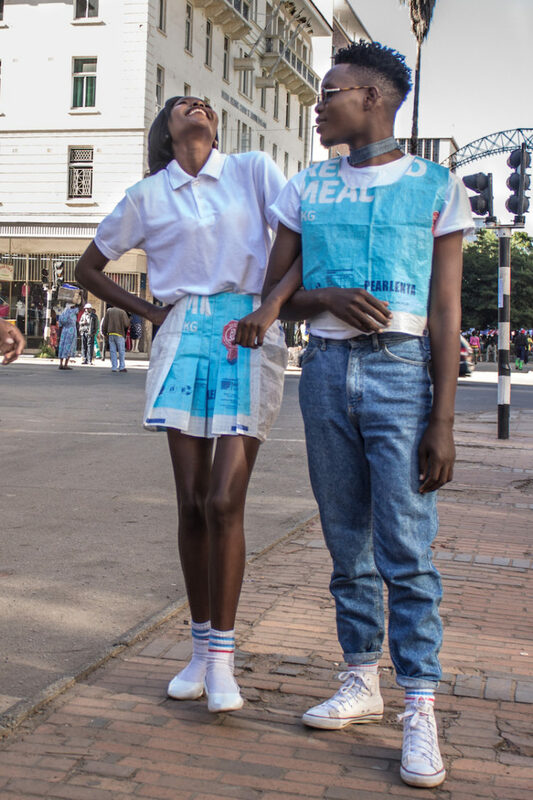 We used mealie meal sacks from one of Zimbabwe’s long standing and most recognised food brands ‘Red Seal’ to make outfits for one of the scenes that we shot in First Street, a place that was inaccessible to people of colour under the segregational laws of Rhodesian government pre-independence. For us, this was a way of celebrating an era of economic prosperity while claiming the freedom to be in a space that was once inaccessible to people like us. Although the space became accessible after independence, it wasn’t necessarily a safe space for womxn or some LGBTQIA people who are often targets of violence in such spaces, vulnerable to violent physical attacks and verbal abuse, especially for their clothing choices. We sought to challenge this limitation of freedom by reclaiming the space and allowing ourselves to feel a sense of belonging and freedom in it. The second part of the series is a celebration of the people, an ode to their resilience. Throughout the devastating deterioration of Zimbabwe the people have survived because of this quality. During the 2008 hyperinflation currency collapse many people resorted to leaving the country to work in the diaspora or resorted to self employment in the informal sector. We saw a lot of people travelling across borders to import basic grocery items to resell back home and right now second hand clothing bales are a prominent enterprise, the items of sale are usually carried in a ‘Shangani bag’ (China Bag). 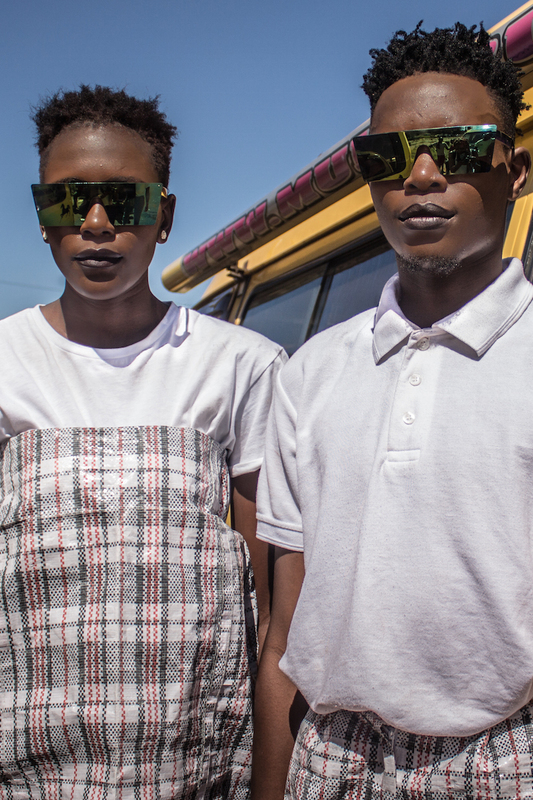 We made outfits from Shangani bags for this part of the shoot to represent the strength and ceaseless hardworking spirit of the people as well as make reference to the increasing sense of borderlessness that exists because of the growing presence of Zimbabweans in the diaspora. 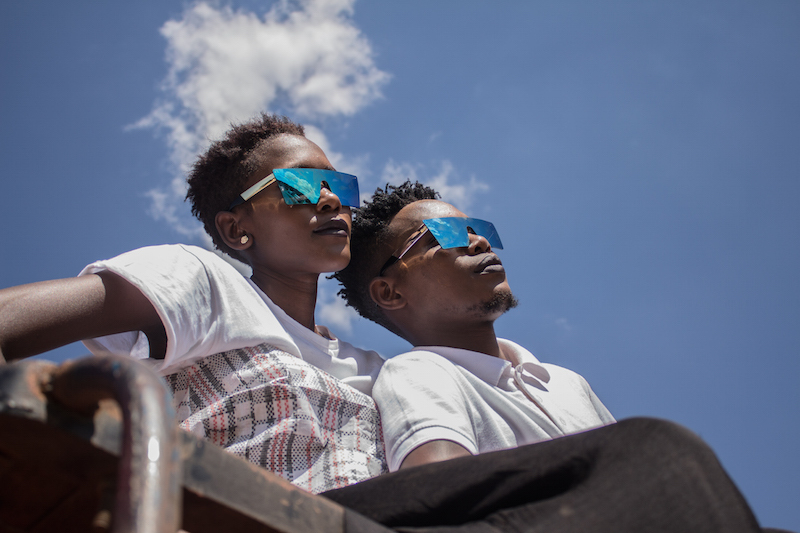 We also imagine that Africa in the future has done away with the colonial geographical borders, this part of the shoot reflects our hope of a better future, a united, decolonised Africa that has been built by its hardworking, strong and resilient people. We shot this scene at Harare’s newest taxi rank, next to and on top of some of the brightest buses and taxis there. 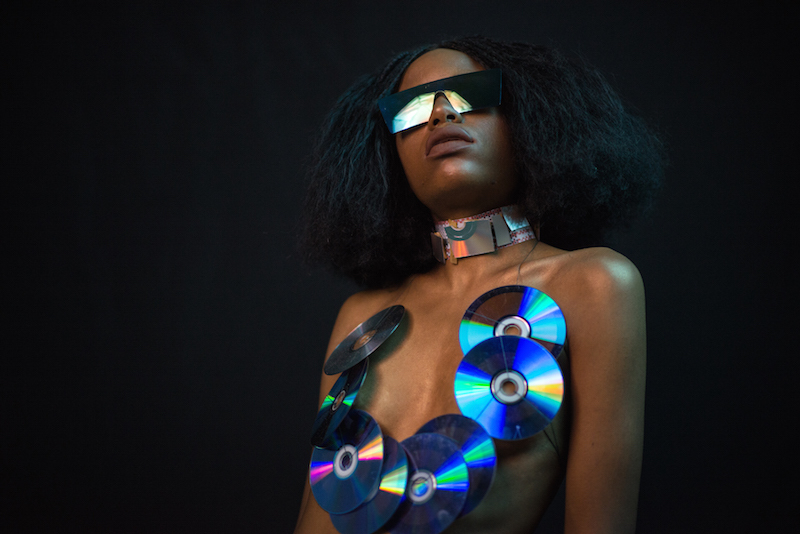 The photo series concept grew beyond what we had initially discussed and came to include a conceptual exploration of the limitations of freedom. As much as Zimbabwe has been liberated from colonial rule, there are several limitations to the freedom that people are entitled to and were promised during the liberation struggle. Almost mirroring a dictatorship, some of the country’s laws are oppressive to its people. Factors like censorship have taken away the people’s power and voice, making it more difficult to fight corruption and unaccountability, two major contributors to the country’s downfall, and essentially a lack of economic freedom. 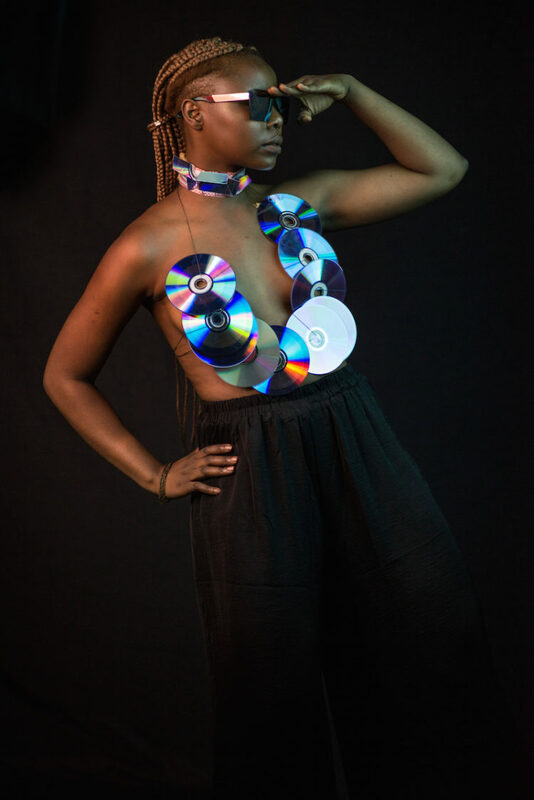 Heavily inspired by afro futurism, we shot this scene in studio, with Pretense enacting the role of the corrupt leaders who silence the people (I was ‘the people’) and suffocate the country. We also wanted to affirm the hope of the future and bring it into the present, reflecting on the idea that all those who have hurt and robbed the land and its people will face the consequences of their deeds and answer to the ancestors who still watch over us. We believe the ancestors are present and working to awaken the masses, they heal us and teach us as we revolt against oppression to restore and rebuild our home. 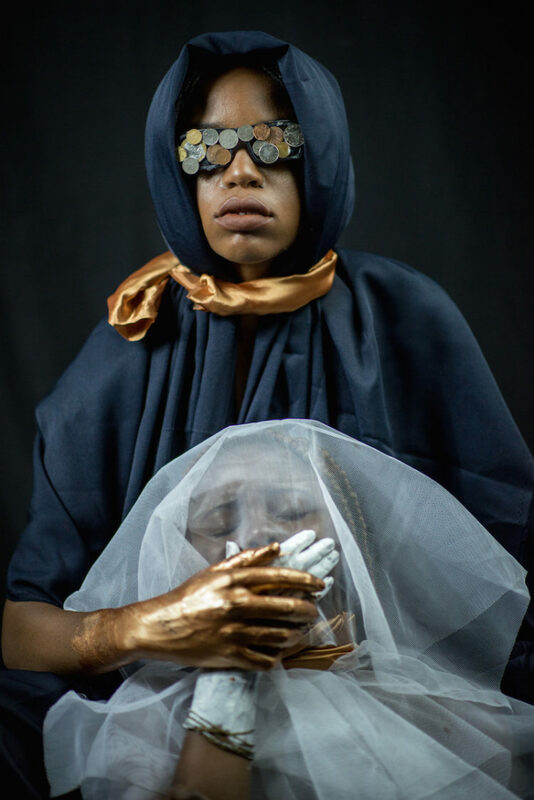 The rest of the shoot was a reflection of this belief, where we reimagined an ancestral figure/matriarch cradling the country in her lap and weighing her scales of balance. 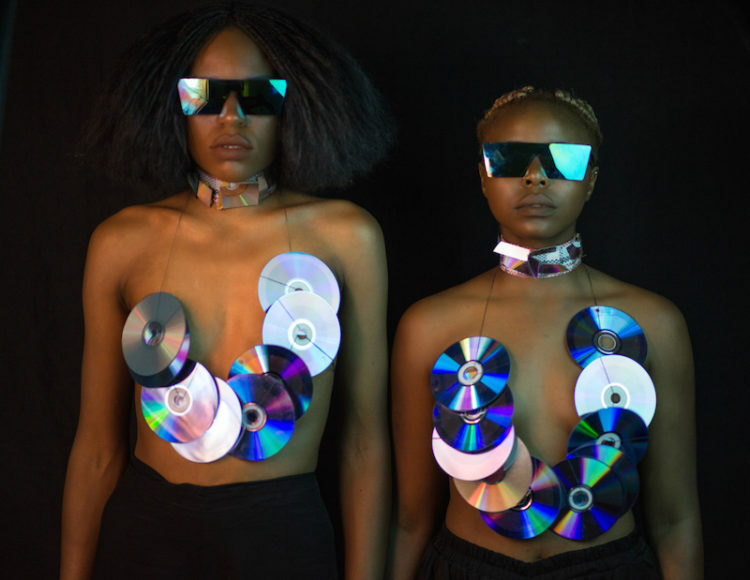 Inspired by our imagination of the future, we also shot in outfits made out of CDs and reflective sunglasses to represent the possibilities that self reflection could bring to us as a people, that we would evolve once we go through this healing process that includes us looking at ourselves and daring to question our leaders as well as peers in order to build a prosperous and technologically advanced future.